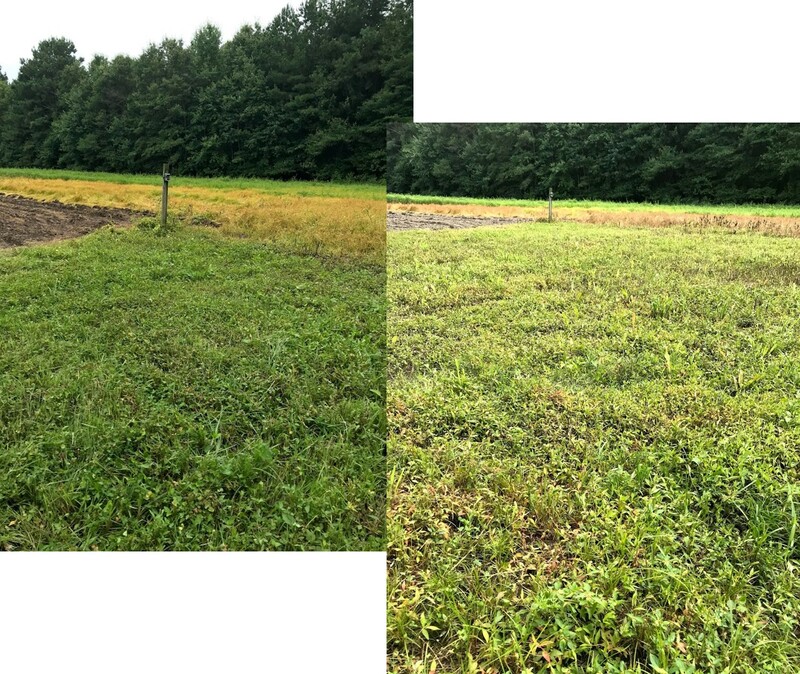 Discussion in 'Food Plots for Wildlife' started by split toe, Jul 18, 2018. 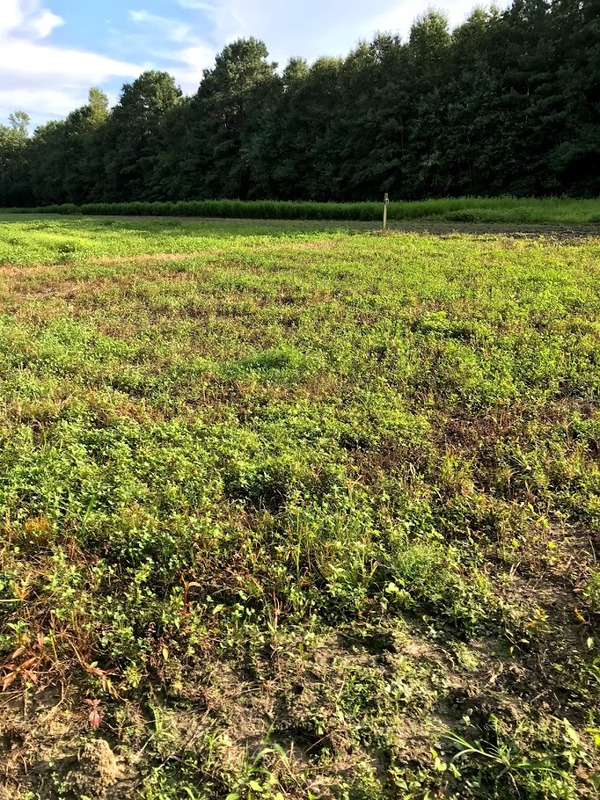 I was going to spray some clover with Imox, but was wondering if I should just wait until spring as late as it already is? Wait until it starts raining again, like maybe a late August spraying. 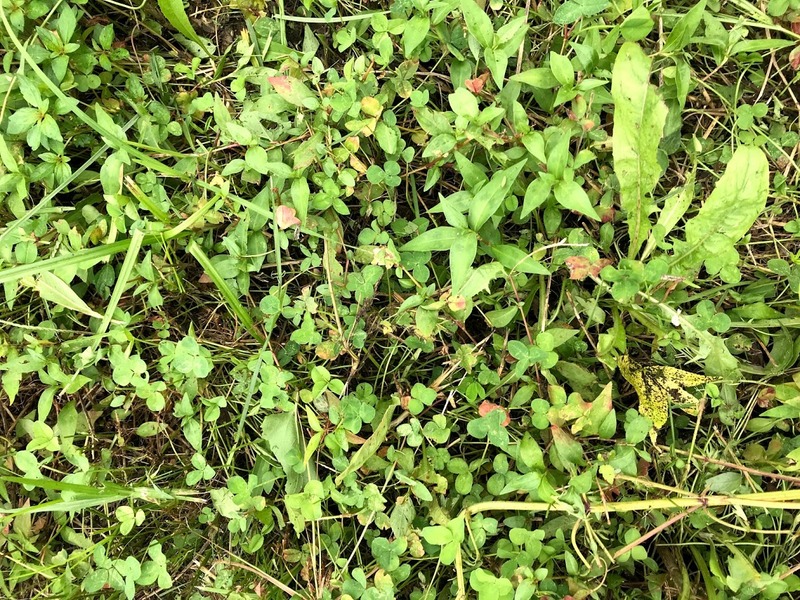 You will kill the midsummer weed species in your clover that aren't there in the spring. 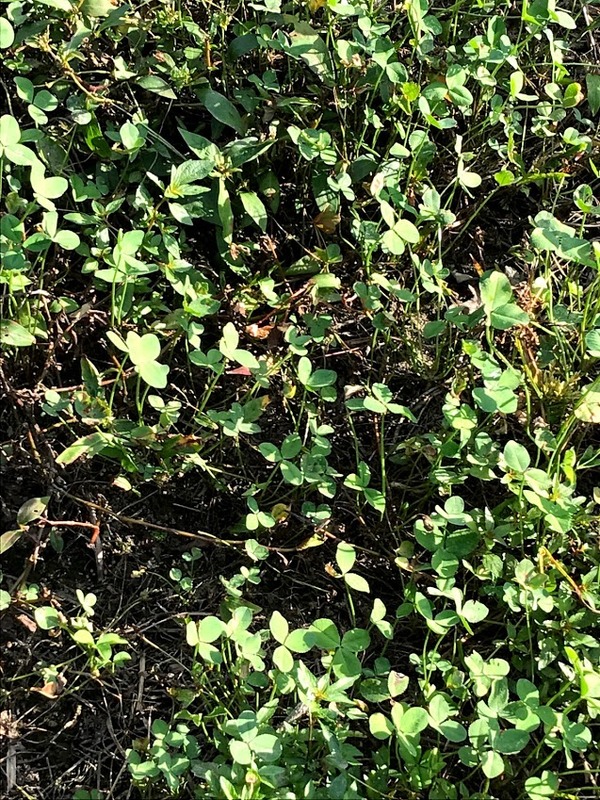 In my experience ,when clover goes dormant, you can use/spray what ever you want and you won't hurt the clover. What weeds are you trying to kill? It's the weeds that dictate when spraying should be done. Too early? Too late? Just right? 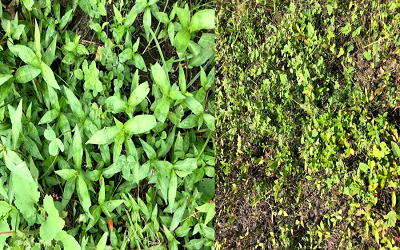 Let the weeds tell you when to spray them, and the answer to that depends on the variety of weed. If the grass or weeds are green and growing they can be killed. If they are going dormant, it might be too late. 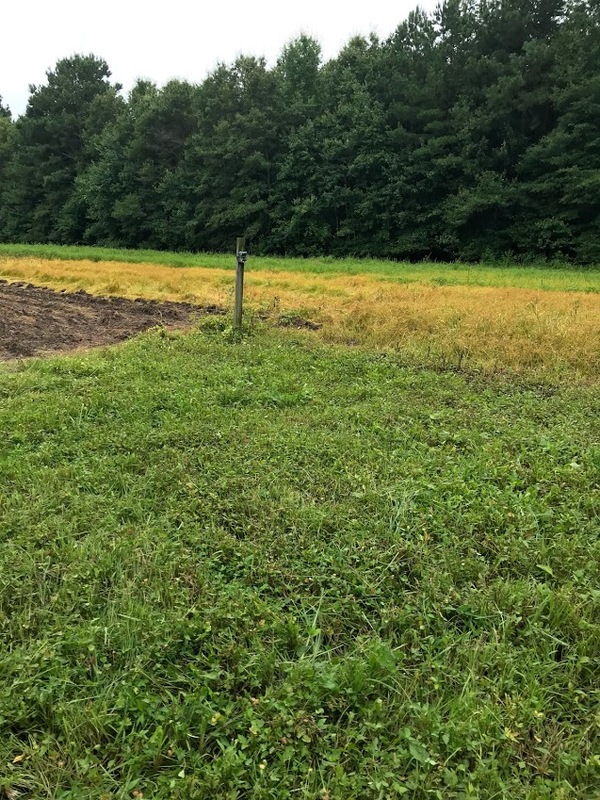 Perennial grasses might be easier killed when they green up with late summer/fall rains. Keep in mind most herbicides have max weed height limits per application rates. Sometimes you can up the rate, but be careful not to injure the clover too much. 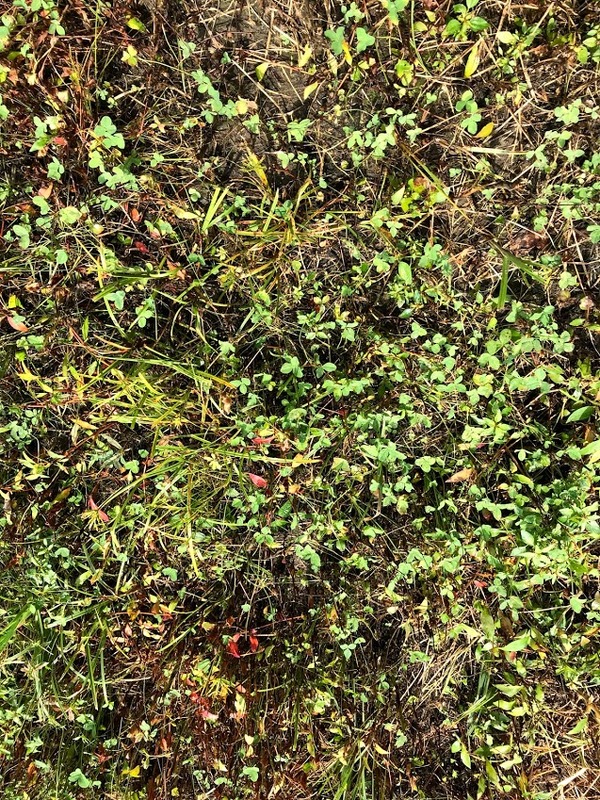 Imox only works on young weeds. 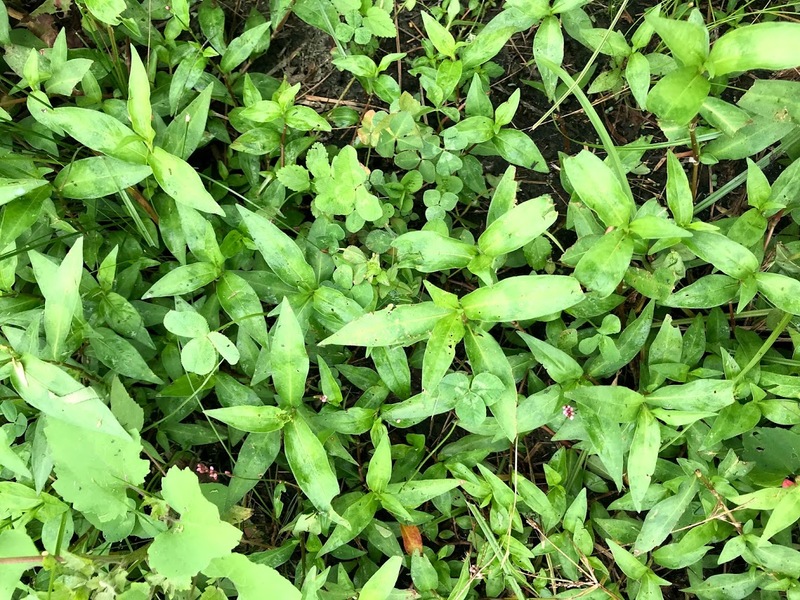 I doubt your weeds are small this time a year so it is very likely that you will be disappointed in the herbicide application. Are they really dead? Some weeds like Canada Thistle, top-kill fairly easy. We hit them with a variety of herbicides that are not really getting down and deep for a good root kill and they just root sprout. I've lived that with CA for years. I thought I was killing it, but util you completely kill the deepest of the roots, the stuff is still alive and lurking. I'm pleased! 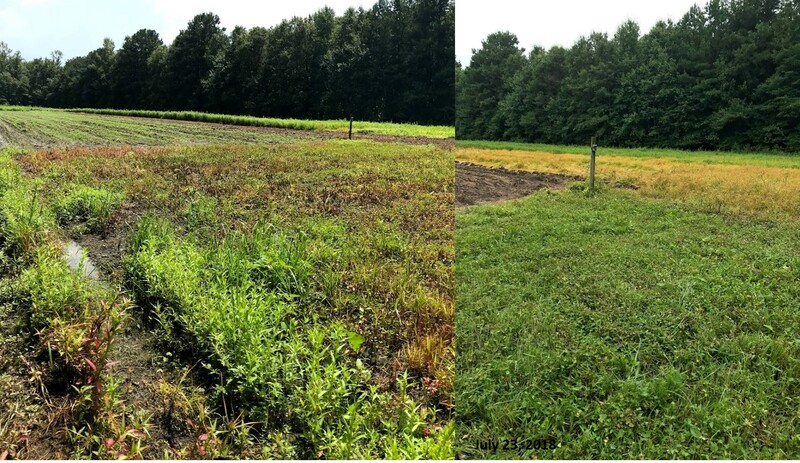 In review, on July 23rd I spray IMOX on a clover kill plot seeded last fall with on a hail Mary and a prayer. 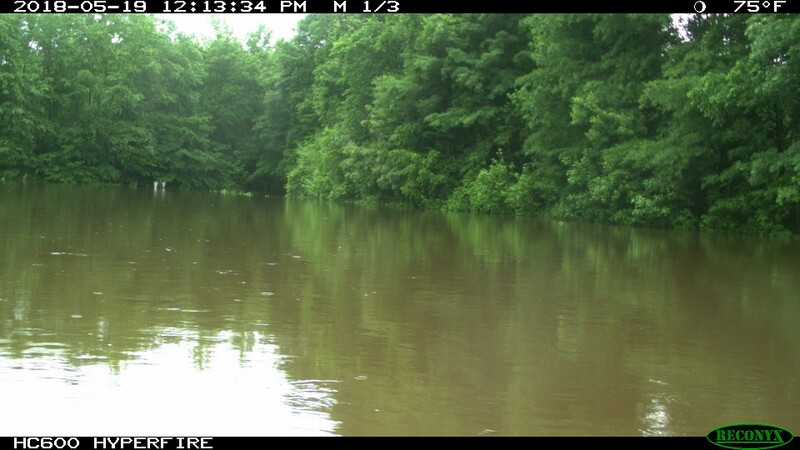 This patch and a couple others in the same two fields frequently get flooded. 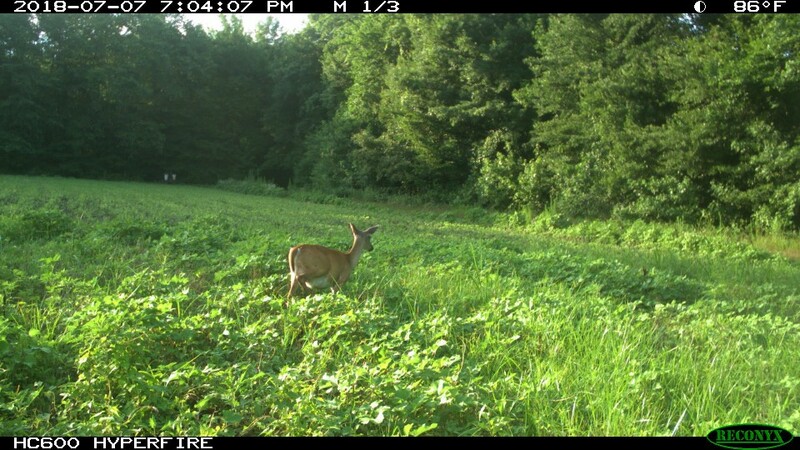 The ten acres on the backside of the farm are food plots rather than crop fields for this reason. It's a gamble. 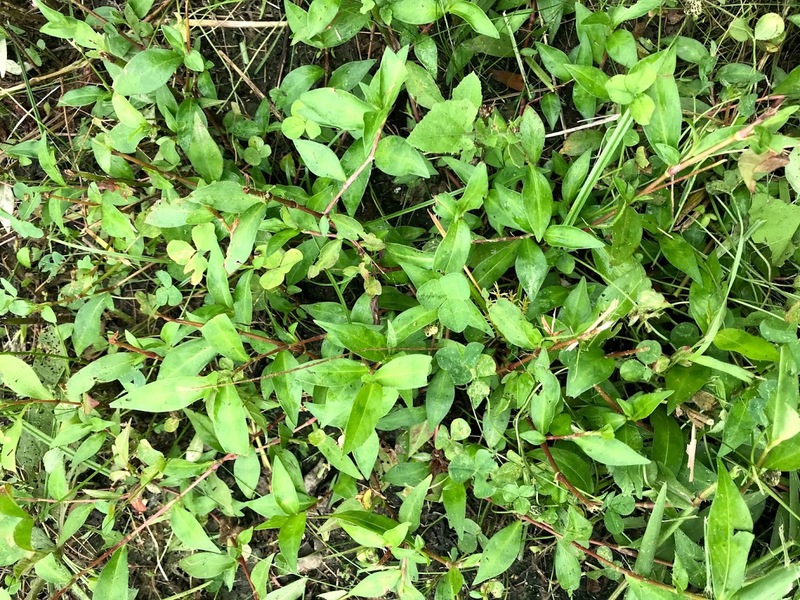 The biggest weed problem is smartweed. If you've never had to deal with it consider your self lucky. It got me again this year. With the acquisition price of IMOX reasonable I decided to give it a try this late. If it doesn't work the clover is toast. It's hard to use pictures to compare, but I think you can get the idea. Details in in a couple of posts above. It's still not pretty, but I think we're in a position, now, out-compete the remaining weeds. Picture August 6, 2018. 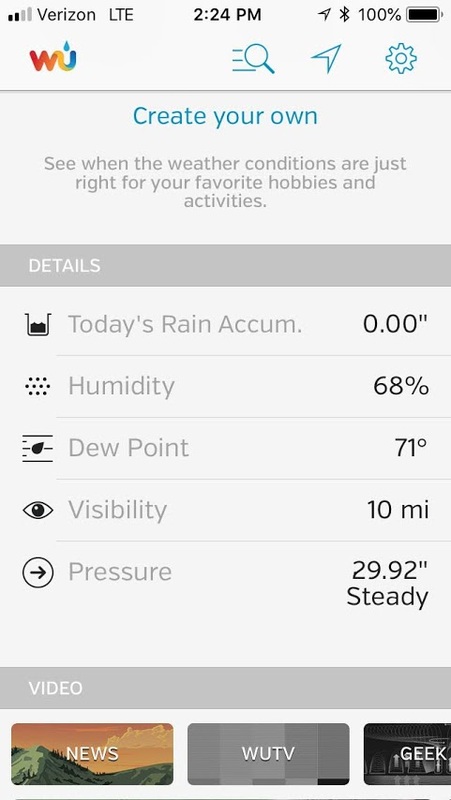 I didn't spray around the camera post on July 23rd just to have a "control" to compare. August 6, 2018. Lower there's a picture of "before..." Not exactly this spot, but you'll get the idea. 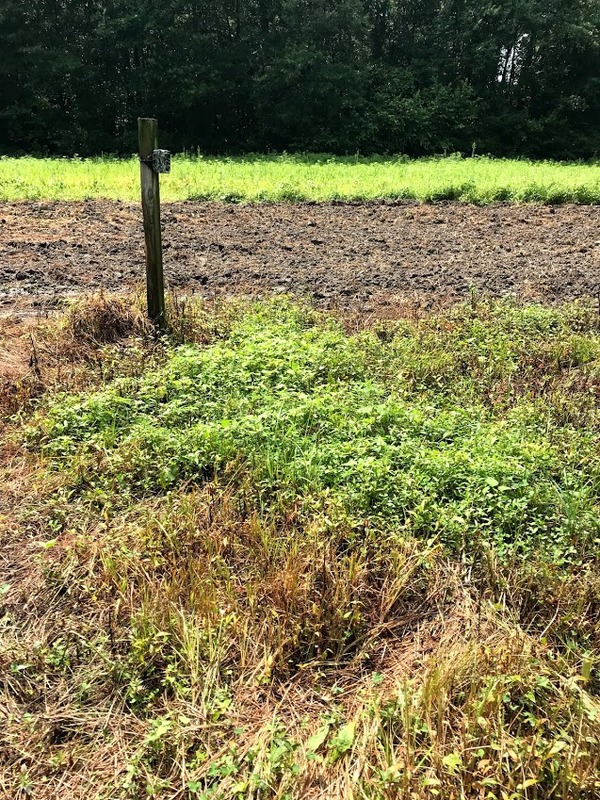 This is fairly typical of what the clover plot looked like on July 23rd - before being sprayed. 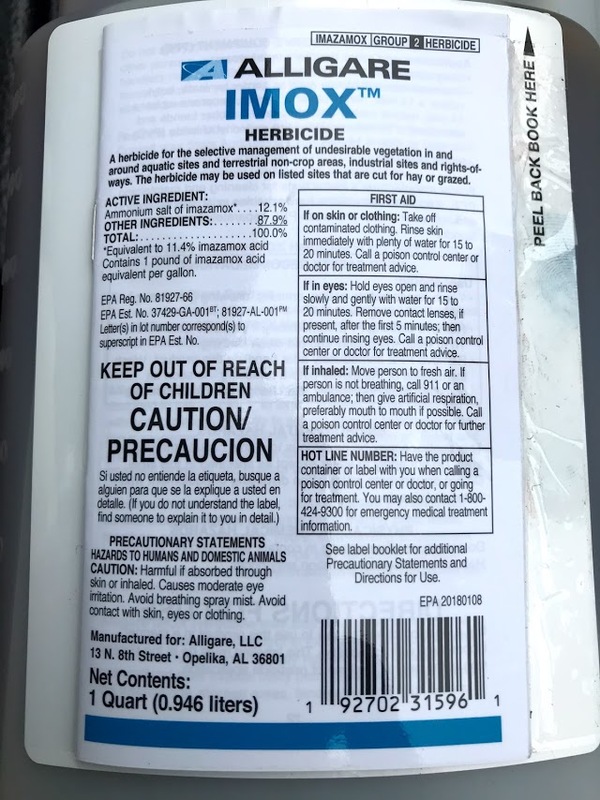 What mixture rate did you use on the Imox? Last one. IMOX did its job. 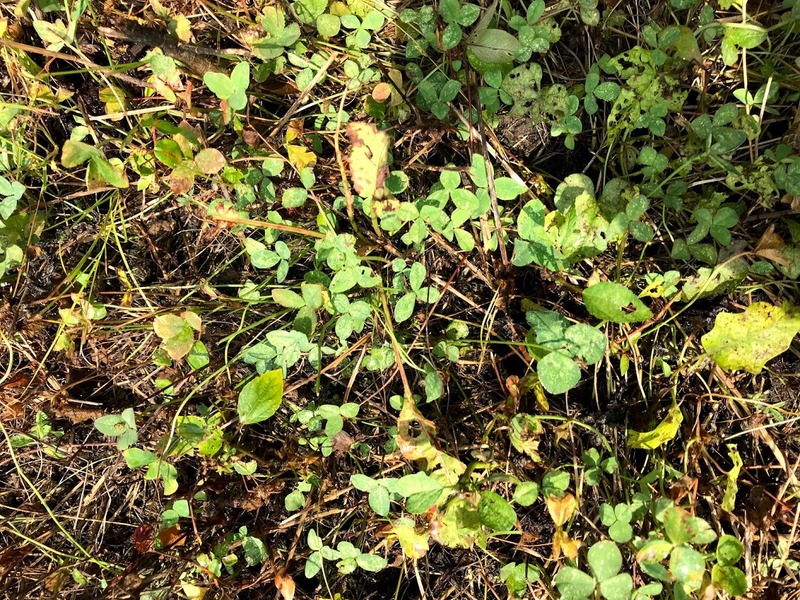 Sprayed clover on July 28th. Today (August 25th) the results are in. 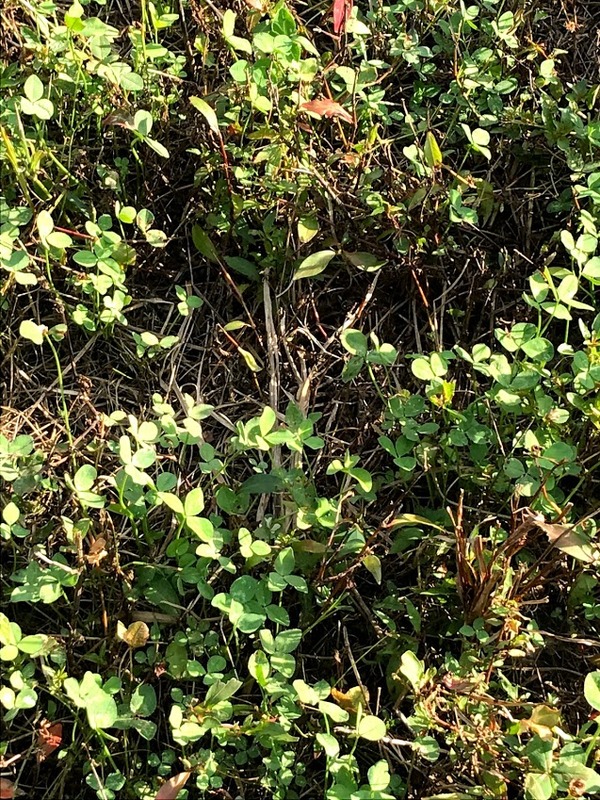 Smartweed was about to choke the life out of the clover (where is the clover?). Recommended rate is 5 oz per acre, and you used 2 oz per 1/10th acre? Wow.